This week the U. S. House of Representative narrowly passed the promised Republican-sponsored income tax legislation. Although this bill advanced to the U.S. Senate where the current form faces an uncertain future, Congressman Ami Bera (D - Elk Grove) and two of his three primary challengers took varying stances on the proposals based mostly on their position along the political spectrum. Bera, who is in his third term representing the California's 7th district, posted a statement on his official website regarding the passing. Bera, like the rest of the Democratic caucus, voted against the legislation. The legislation was criticized by Bera saying it does not provide relief for middle-class income families. 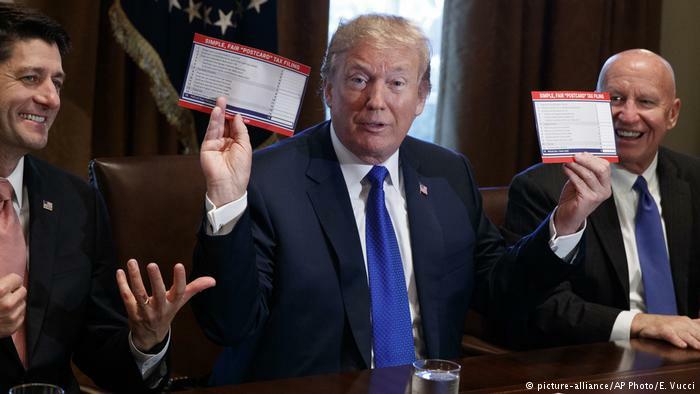 Although he did not mention it explicitly, many Democratic and some Republican representatives criticized the bill for the elimination of state tax deductions which could affect taxpayers in states with high state income taxes like California. The statement from Bera's office said in part "This bill would eliminate critical deductions that help Americans save for the future, saddle the next generation with mountains of debt, and make it harder for families to recover when unexpected tragedy hits. That's not good policy. Sacramento County families pay their fair share of taxes and are counting on us to put politics aside and work in their best interests - this bill falls short." Two of three of Bera's opponents in next year's primary, Republican Andrew Grant and Democrat Brad Westmoreland, responded to request seeking comment. The fourth candidate in the race, Dr. Yona Barash did not respond to an email request. Grant, who thus far in his campaign has focused on national security and taken staked out main street Republican positions on a host of issues, offered qualified support for the tax bill but said it needs to address Californians tax situation. "There is no doubt we need tax reform, particularly in California, now the highest taxed state in the country," Grant said. "The increasingly complex tax code creates loopholes for the rich and the corporations at the expense of the middle class and small businesses." Like the 13 Republican legislators, including California's Dana Rohrabacher, Costa Mesa, Darrell Issa, Vista, and Tom McClintock, Elk Grove, Grant said he opposed elimination of the state income tax deduction because of the harm to Californians. For his part, Westmoreland, who is running a progressive-themed campaign and has criticized Bera on some of his votes and positions, did not mention Congressman Bera but criticized Grant and Barash. "Several Republican lawmakers have publicly and shamelessly admitted that the driving force behind this tax reform push is to make their wealthy donors happy," Westmoreland said. "That is what they worry about. They don't care what this bill will do to teachers, students, the elderly, the disabled, and other hardworking people who are struggling to make ends meet." Saying they care more about the needs of wealthy donor than constituents, Westmoreland added "Mr. Grant, Dr. Barash, and other Republicans who support this bill should be ashamed of themselves. Their greed is killing this country." No Comment to " As House Tax Bill Advances, 7th Congressional District Challengers Take Varying Stances "